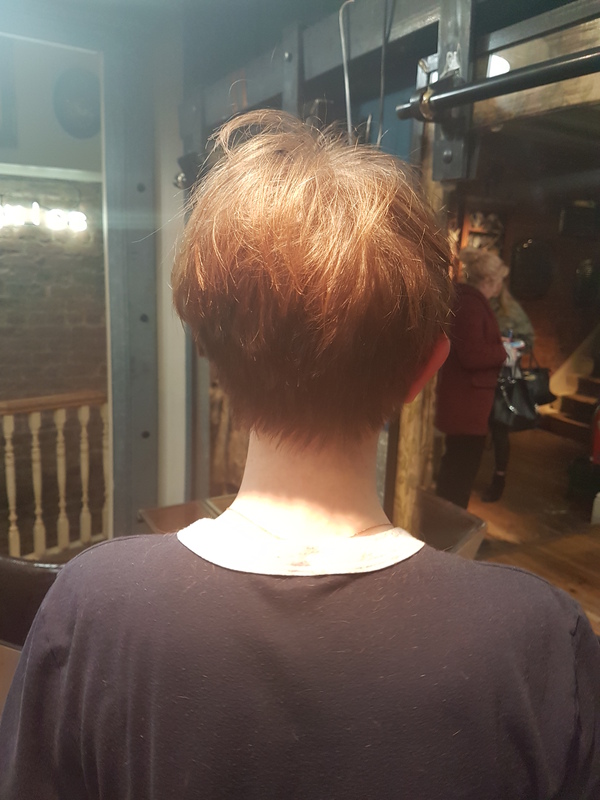 Those of you who know our history or follow our blog will know we’ve long been fans of demos and continual training at Boilerhouse. 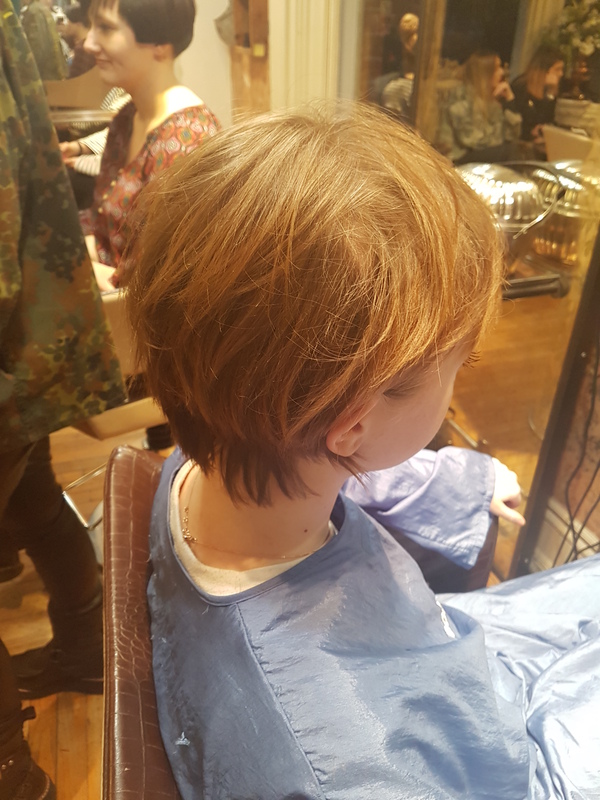 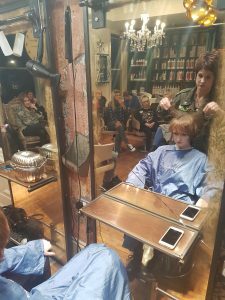 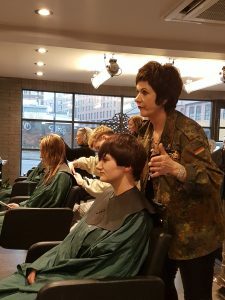 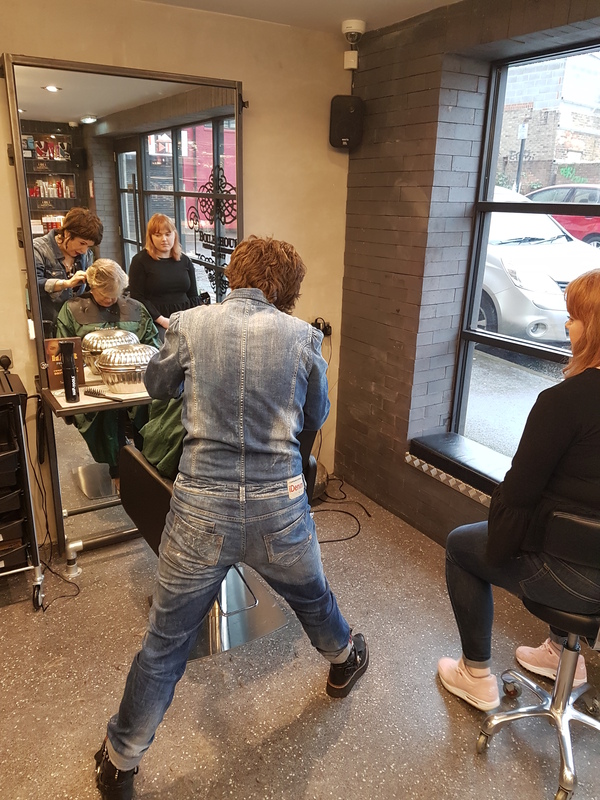 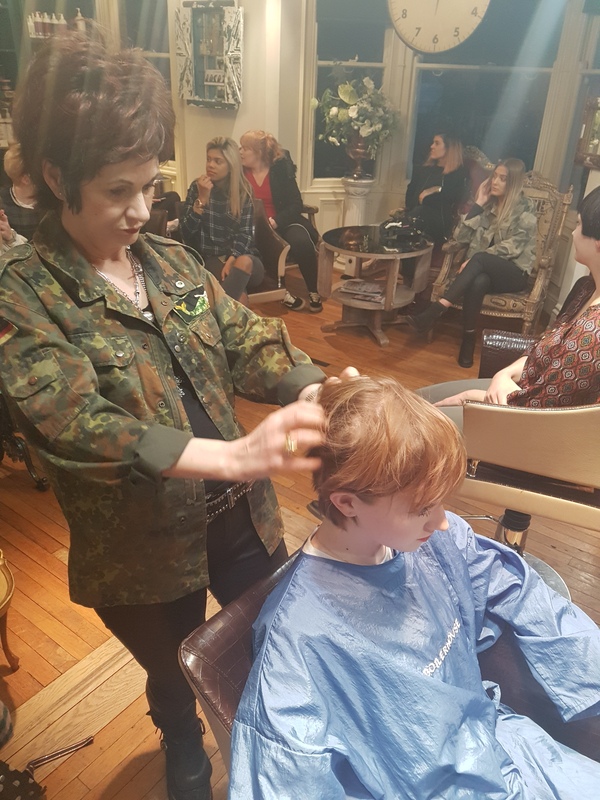 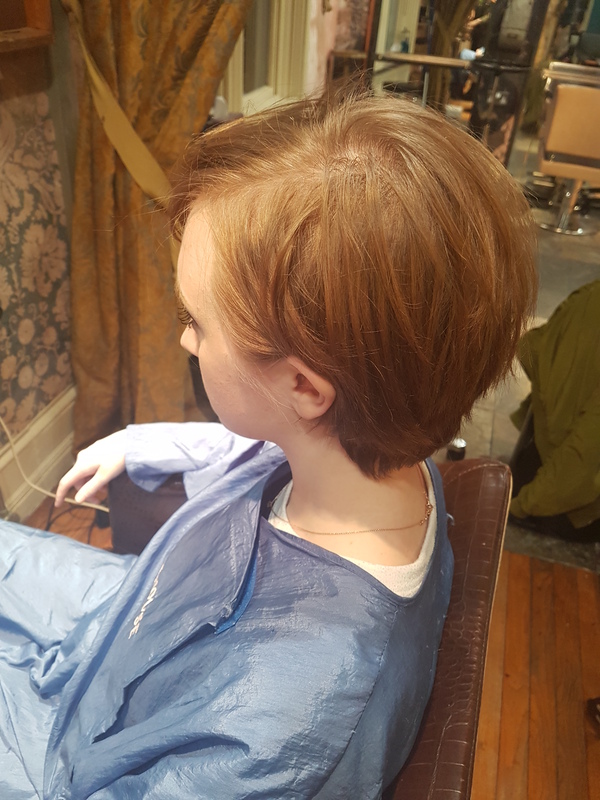 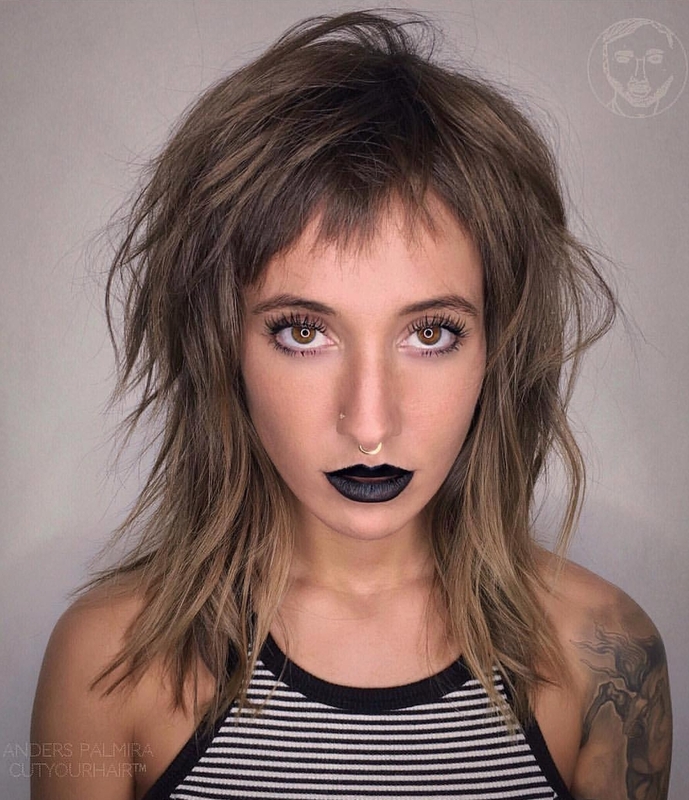 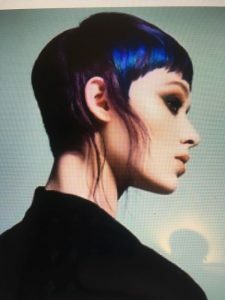 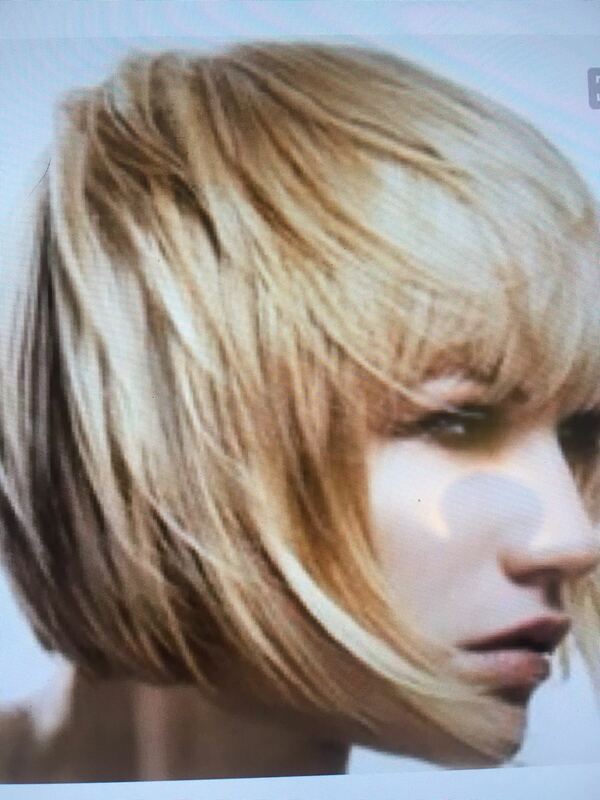 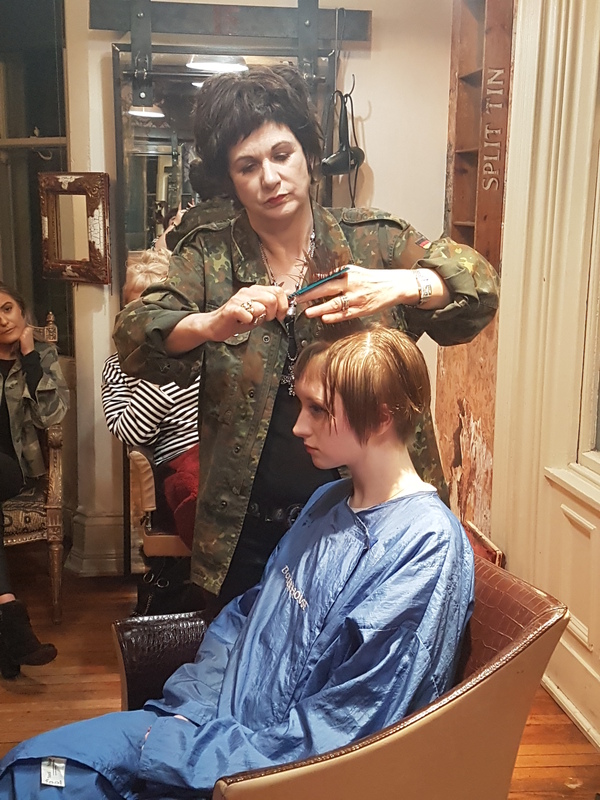 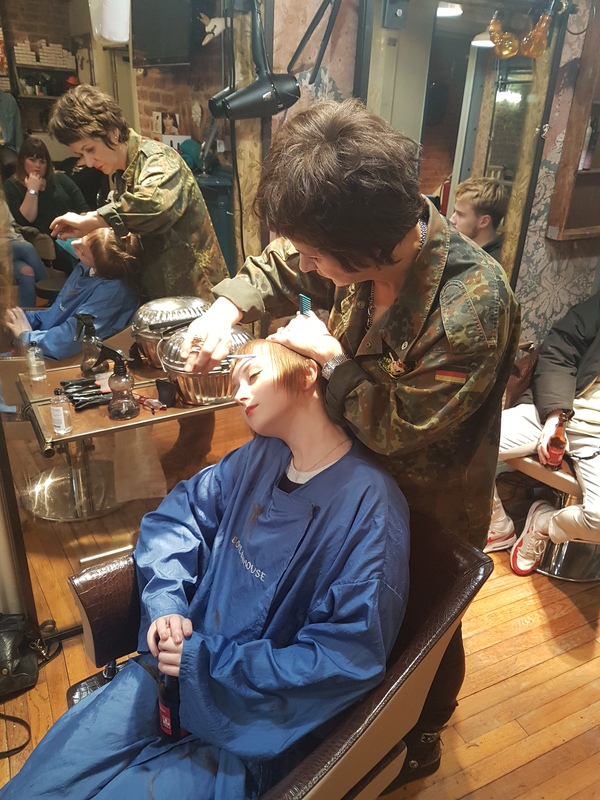 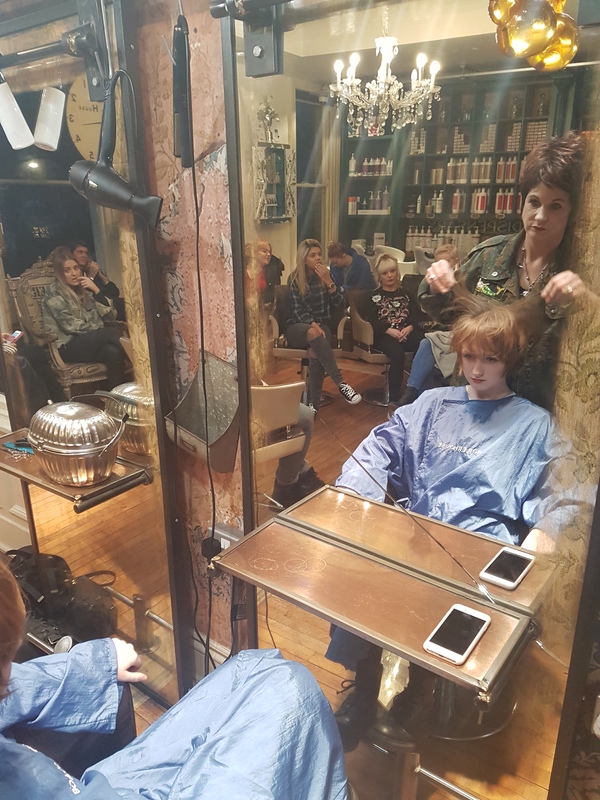 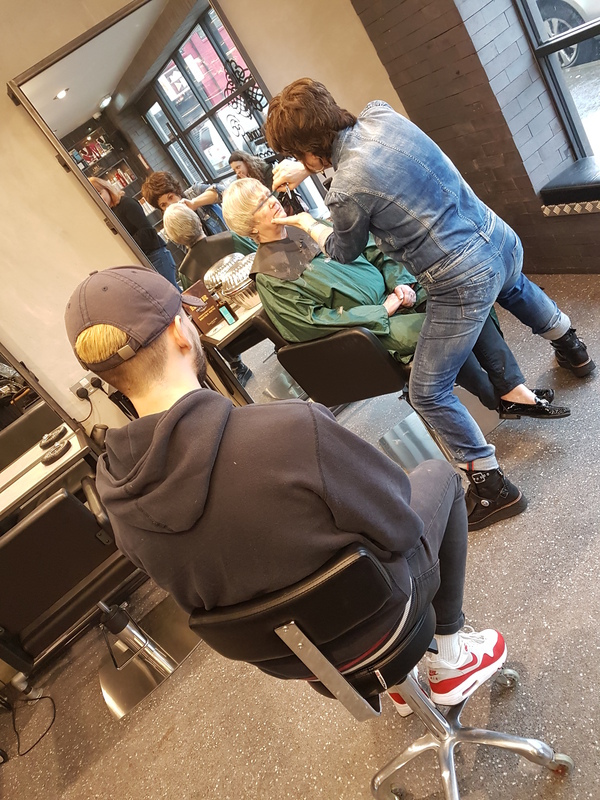 Our rigorous in-house apprentice training is well noted, but we like to keep things fresh across the board, from our most recently qualified stylists to our longest-serving ones, and regularly arrange and attend demos. 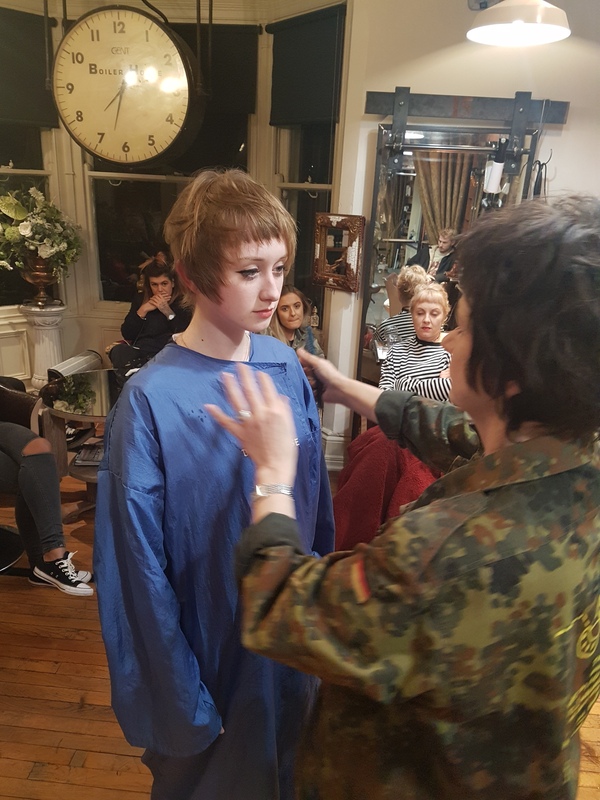 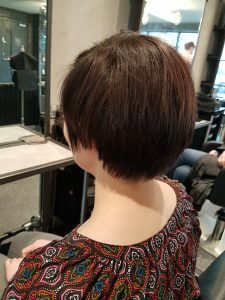 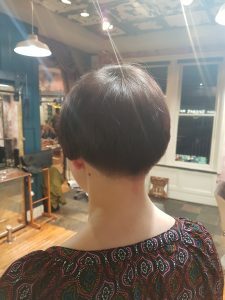 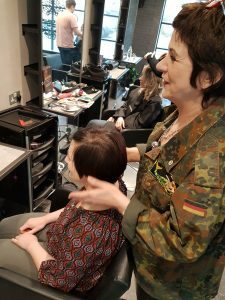 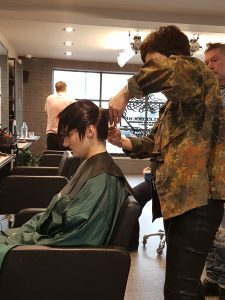 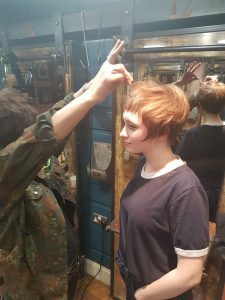 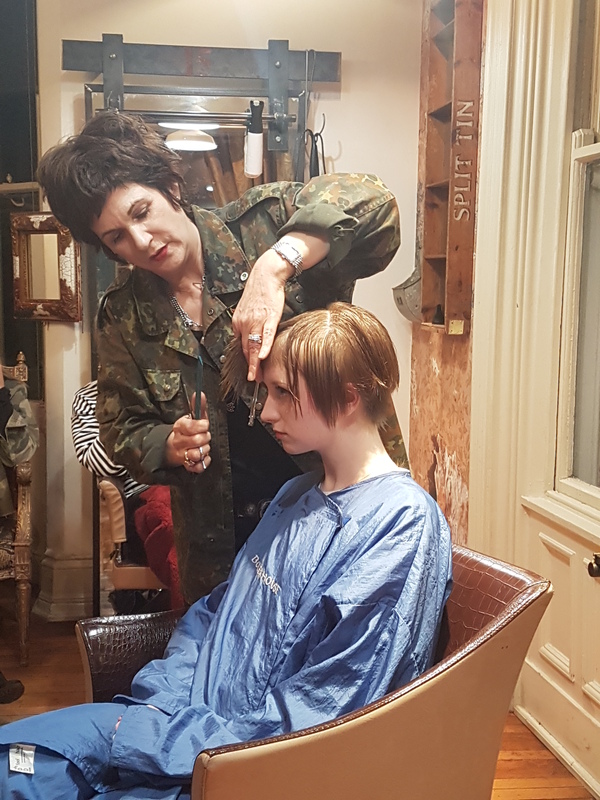 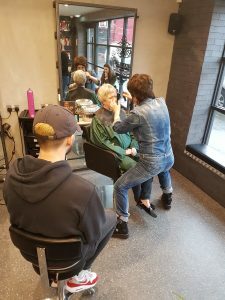 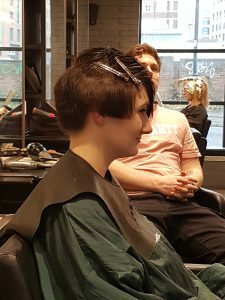 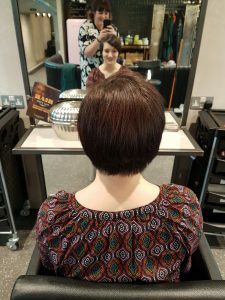 Recently, director Kim decided to put on a demo covering ‘soft disconnection’, to remind us how easy it is to use a variety of both technical and finishing techniques in order to tweak and personalise short cuts, making them bespoke to the client. 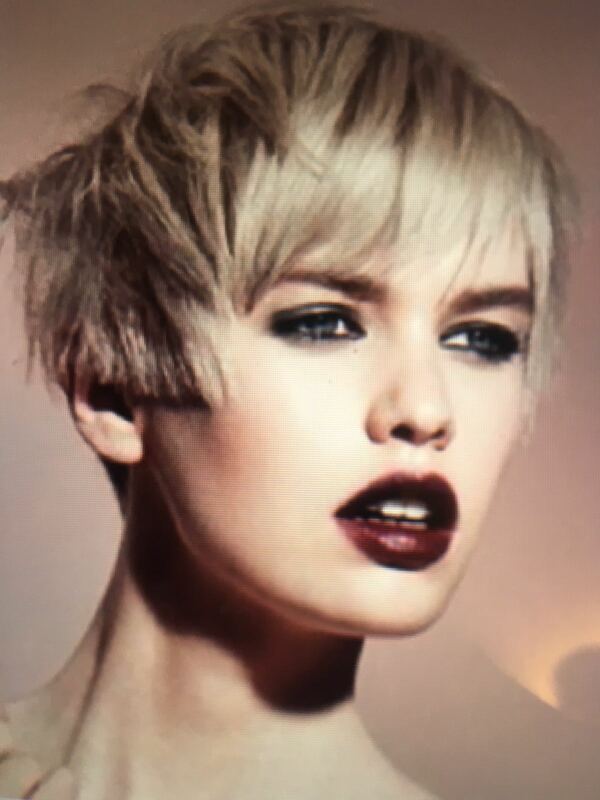 Kim’s first model of the evening was Melissa. Melissa had super straight hair, which played a big part in what Kim chose to achieve. Below you can see a series of photos before, during and after. 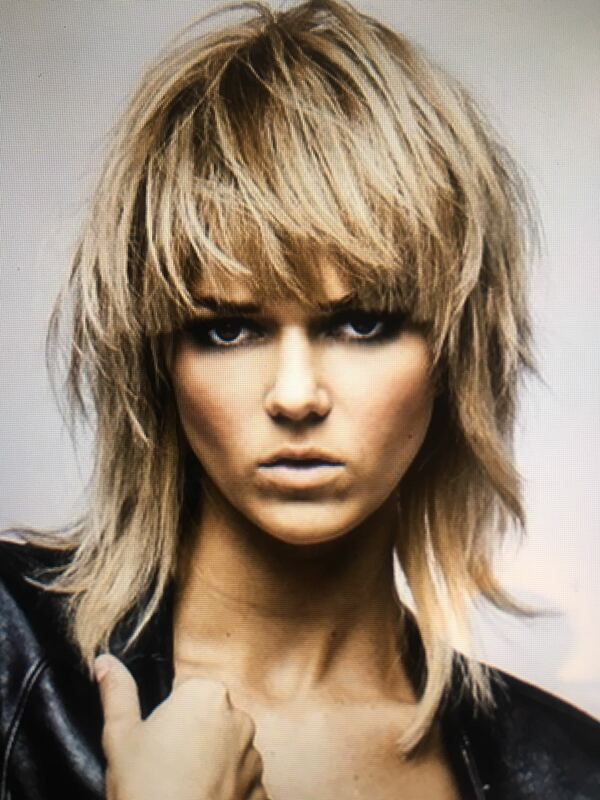 Melissa’s only stipulation was no short fringe. 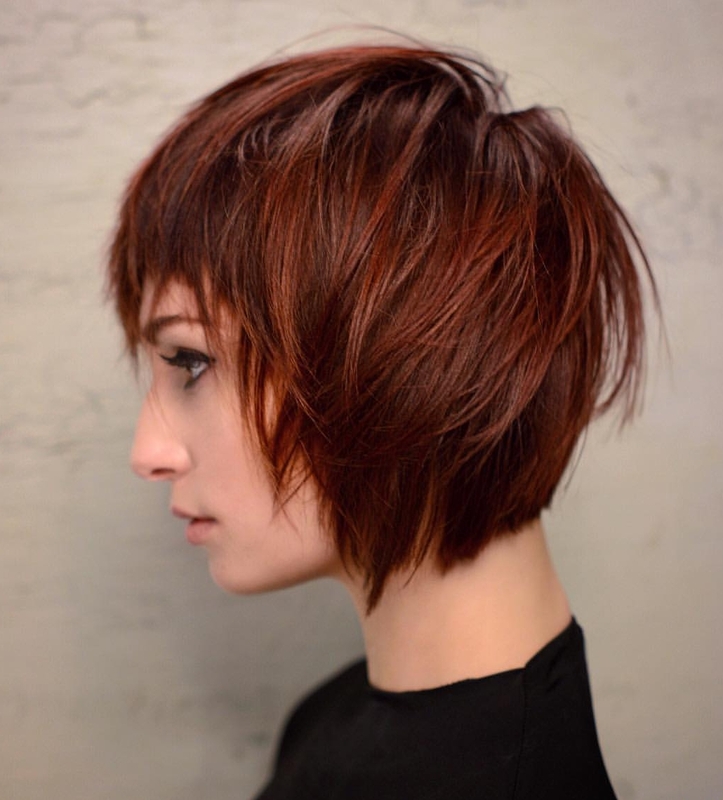 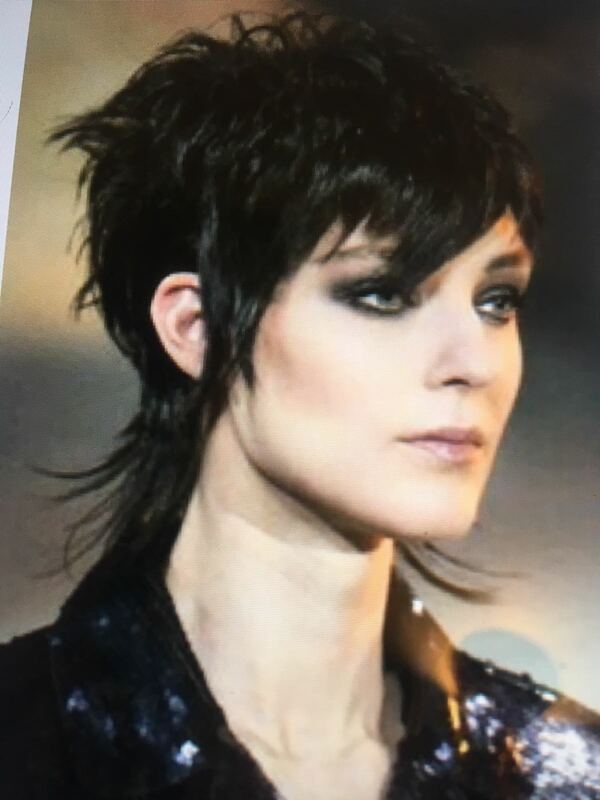 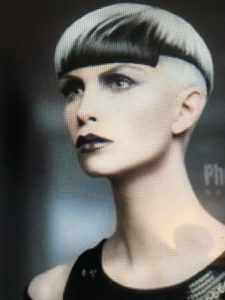 The shape Kim created was versatile, allowing Melissa to wear the front to either side, and carried some fashion-forward edge around the blunt side lines. 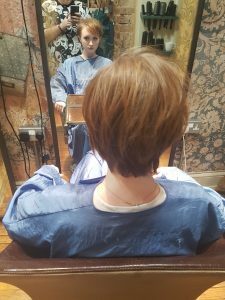 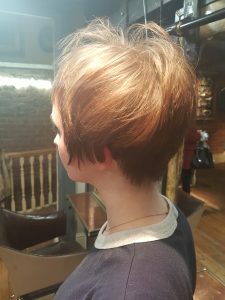 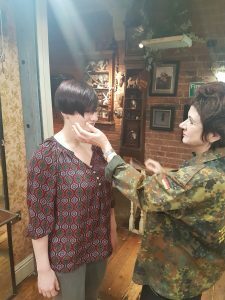 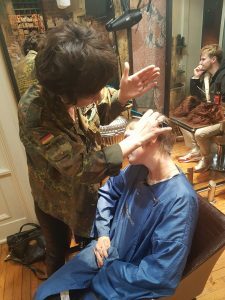 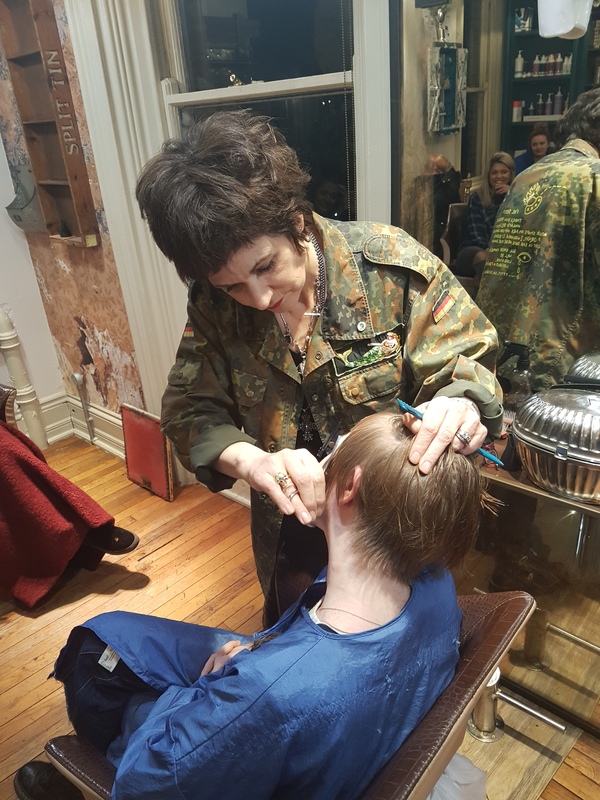 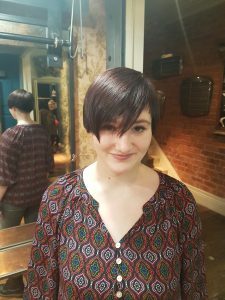 Kim cut Melissa’s hair at Ouseburn, then presented the finished look to the rest of the staff over in Jesmond, talking through her method. 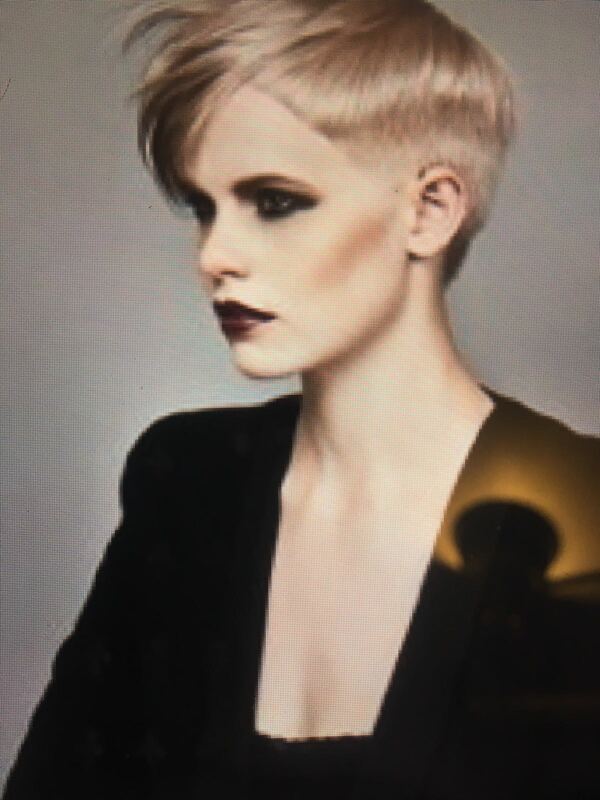 Kim’s next model was new Ouseburn apprentice, Lara. 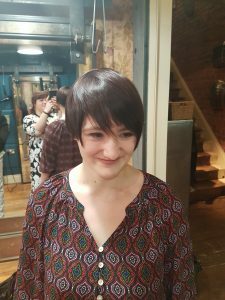 Again, Lara didn’t want a short fringe, though changed her mind part way through! 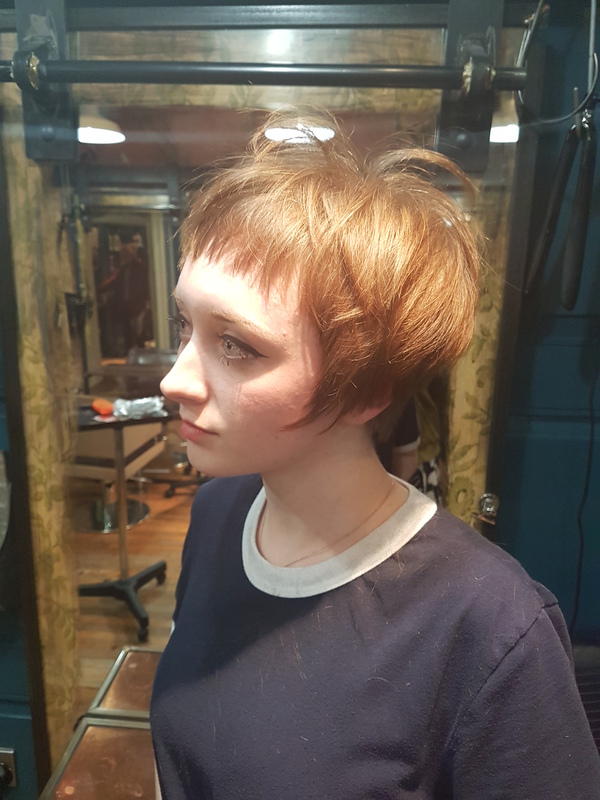 Although similar in technique through the back to Melissa’s cut, Lara’s softer natural texture and the different methods Kim used around the top and sides gave a very different finish. Kim cut Lara’s hair as a live demo and talked the team through step by step as she went. 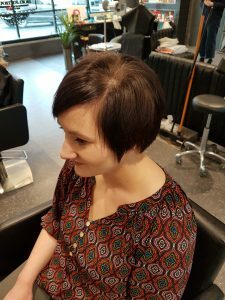 Lara’s finished result also offers versatility. She is able to wear the style flat and sleek or heavily textured and messy. 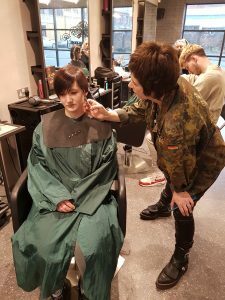 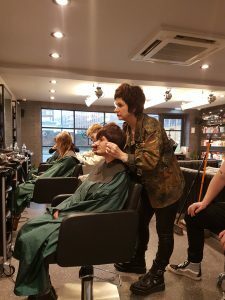 Kim also occasionally demos to the apprentices in Ouseburn during our regular model Monday sessions to ensure our trainees are exposed to as wide a variety of styles and techniques as possible. 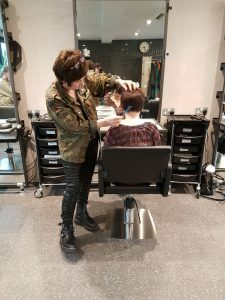 This is the reason our training can take up to 4 years – we cut no corners! 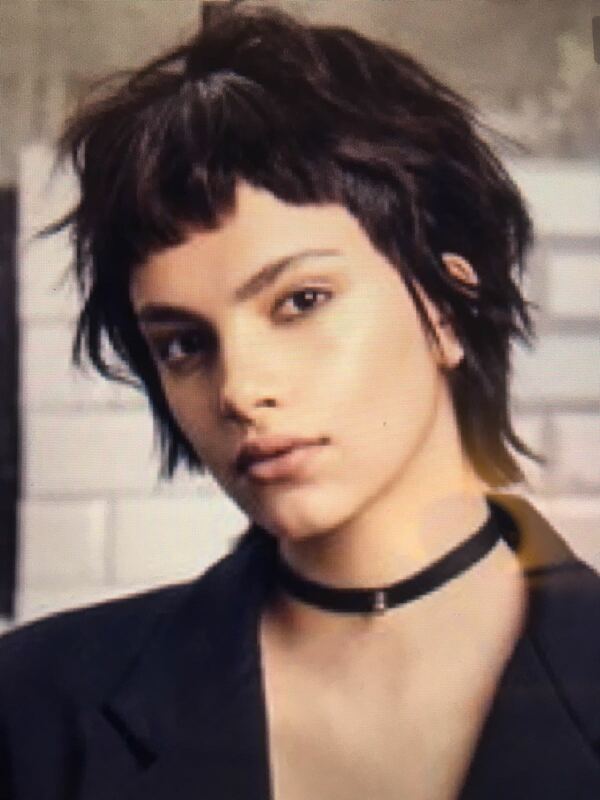 We are always on the lookout for models with short hair, and for models who are open to quirky, fashion-forward cuts for demos and training. 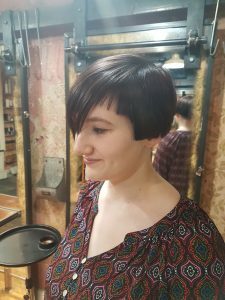 Here’s a selection of shapes that are currently floating our boat which we would like to create versions of. 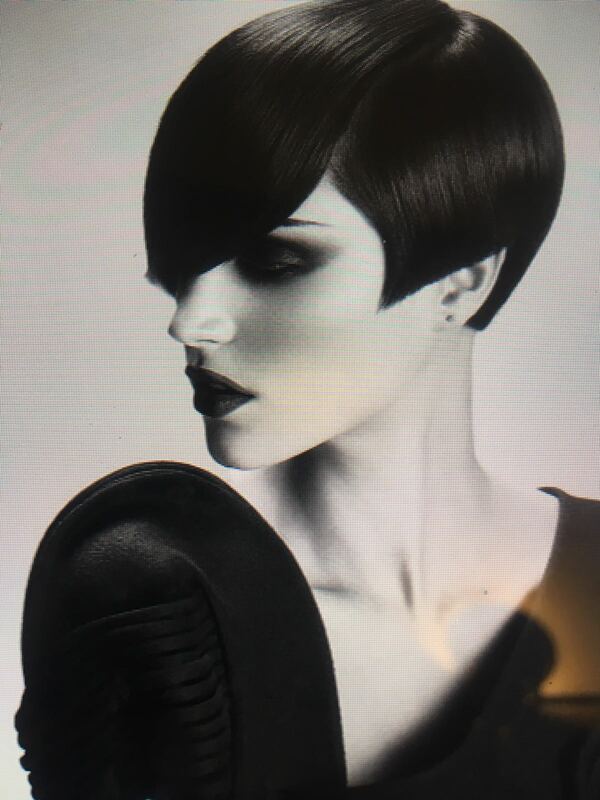 (Please note the photos that follow are found images which inspire us and not our own work). 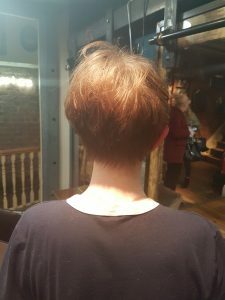 Drop Saskia an email at boilerhouseouseburn@gmail.com with a photo of your current hair if you’d like to be considered for this.